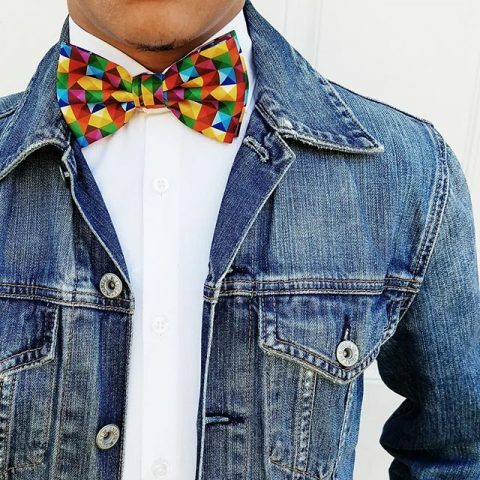 Buy this fun rainbow bow tie, wear it proudly and feel good about the fact that 100% of the sales will support LGBTQ rights. Thumbs up! 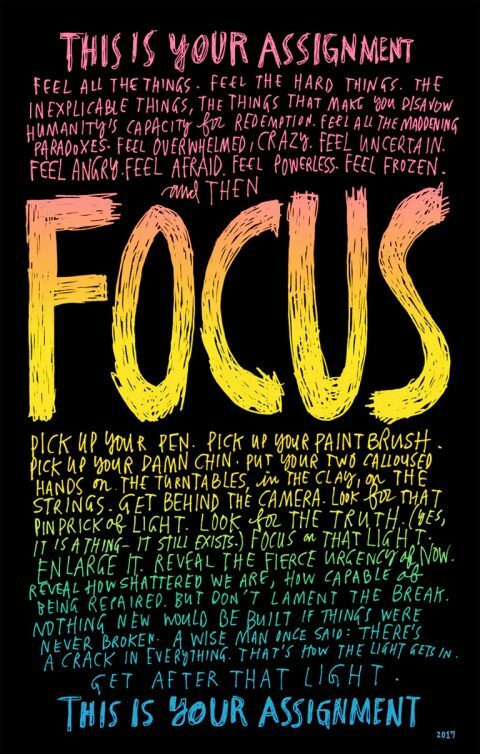 Illustrator Wendy MacNaughton and writer Courtney E. Martin created a manifesto for creative resilience. Three versions of the above poster are available online — red, white, and blue, black and white, and rainbow — with all proceeds donated to Hedgebrook, a rural writing residency for women. 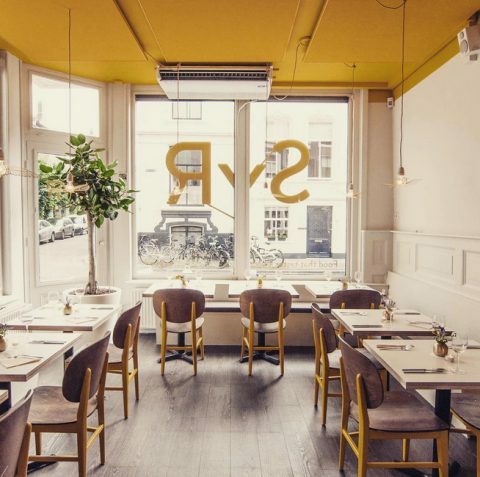 Syr, a crowdfunded restaurant in Utrecht, Netherlands that employs recently arrived Syrian and Afghan refugees, offering them a platform to share their cuisine, to earn money, to share their stories and to pursue educational programs. We need more of this! Every time you buy something, you vote with your wallet. As someone who has bootstrapped companies and knows just how hard it is to do it right, to fight the good fight and do things the right way, not just for the bottom-line, but actually run a business with a set of values that might make the world a tiny bit better, I know just how incredibly hard it is to make it work. Just like this election has shown, the ruthless ones, the ones that don’t care about anything other than full pockets, are the ones that usually win. 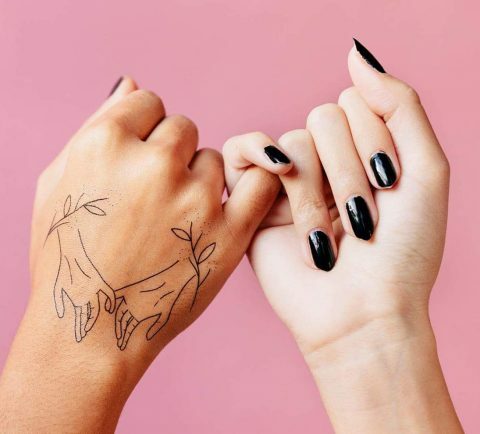 I have bootstrapped Tattly from the beginning and we had some wonderful successes but it is a bumpy road, even 5 years in. I believe in manufacturing whatever I can in the U.S. I believe in selecting my artists carefully and paying them a generous royalty. I believe in shipping everything out of Brooklyn and creating lower wage jobs in the city. I believe in creating a healthy work environment for my employees and offer sane working hours. I could go on! All of these values make it exponentially harder to succeed. Our business model has been copied by people that don’t care about any of these things and that are just in for the money. All of this has made me realize that I need to be more careful on how I spend my money and who I support and endorse. My purchases have a direct impact. Supporting small matters. Here are are few small companies and individuals that I know, or have been following for a long time, that have a set of values I admire. I want them to succeed with their businesses. Help me grow this list! What small entrepreneurs or individuals should we be supporting and why? Write suggestions below as a comment with links to their sites. I am actively keeping tab of companies that make the world a little better and will continuously support them, here on my blog and beyond. Sugru – the world needs fixing. The founder Jane is one of my favorite people. Watch her 99u talk and fall in love as well. Slow Factory – Fashion as a tool for social and environmental change. NASA images printed on 100% natural fabric and eco-friendly dyes and process. Holstee – a subscription that explores one mindful theme each month through art, words and action. Various Keytags – get someone a special key chain. The people that run it are special too. Three Potato Four – Janet Morales and Stu Eli began Three Potato Four through their love of found objects. It’s been a pleasure to watch their labor of love grow into a company. 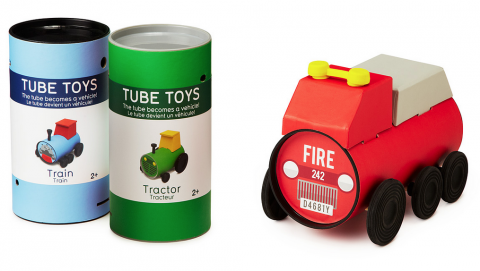 Pipsticks – Monthly sticker subscription, run by a super kind couple with three kids. Tinybop – the best educational kids apps out there. SUCH good, smart people that run this company. Uncommon goods – Dave the founder is remarkable. Read their about page. Then support them. 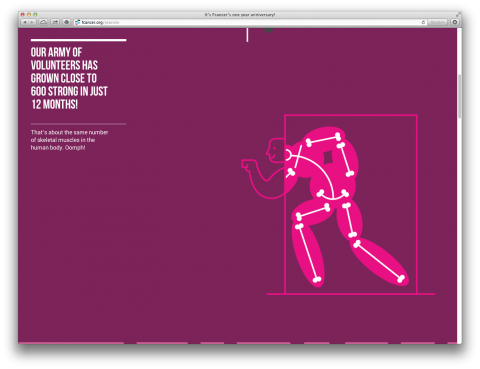 JAM – online courses for kids. Zach Klein, the founder, is good people. The Sill – Get some plants into your home and office. Healthy plants by healthy, lovely humans. – American Heirloom – I have one of their cutting boards. It’s my favorite. Field Notes – the original. I have admired Jim Coudal, the founder, for a long time and he has been instrumental in my decision to let go of clients. He is an entrepreneur with values I admire. Jen makes beautiful jewelry. And she is a beautiful human. 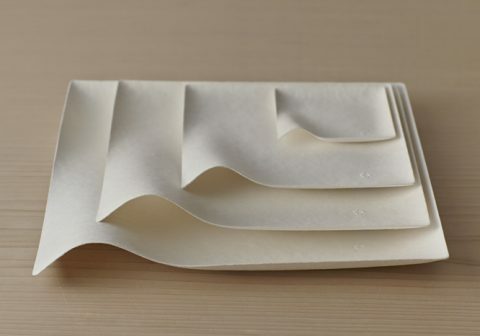 Rifle Paper – satisfy all of your paper needs. Anna Bond, the illustrator behind the brand, has shaped this industry. She is probably the hardest working human on this planet. Etsy – a company with fantastic values and a serious moral compass, supporting makers around the world. YES! Brooklyn Industries – know and admire the founders. Oliver Jeffers – one of the most talented and hardest working artists I know. Buy a print or look for his picture books next time you’re in a book store. Brvtvs – a New York based jewelry collection created by Caroline Ventura. City of Industry – It’s been a pleasure seeing Sara build out her pin business into more than just that. A labor of love I want to see succeed! Soma – Good people. Good products. Charity Water – instead of christmas/wedding or birthday gifts fundraise for clean water? Lumi – I met Jesse Genet, the co-founder recently and was so impressed by her hustle and enthusiasm to improve the world of packaging goods. Kikkerland – my favorite place to find fun gifts. ban.do – a destination for slightly silly fun gifts. Ghostly – it’s easy to get lost in their music or products. Haptic Lab – stunning products by a remarkable woman. 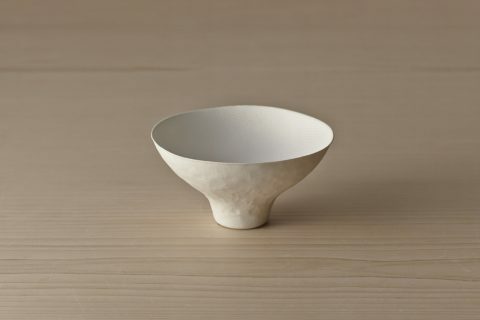 Poketo – beautiful gifts curated by a beautiful couple. Paper Jam Press – love these so much. Hendley – I have never met a person before that makes perfumes. Hans’ love for this industry is beautiful to follow along. Adam J. K. – one of my favorite places to shop for gifts on the internet. 12 days ago Ecuador experienced a devastating 7.8 magnitude earthquake, killing over 500 people and leaving thousands of families without a home. Portoviejo, where my friend Juan Miguel is from, was one of the towns most heavily affected by the earthquake. Marin’s family survived but sadly, some of his friends lost their lives, a family member, or their homes. 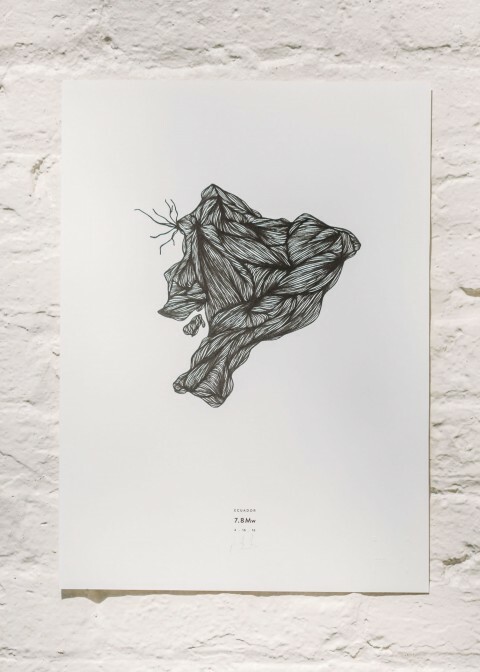 One of Marin’s way of helping with the reconstruction efforts is through the sale of his drawing of the map of Ecuador, part of his “Under The Influence” series. The earthquake’s epicenter, near the coastal town of Muisne, is shown in the top left. The date and magnitude of the earthquake appear at the bottom of the lithograph. Hemlock Printers in Vancouver, Canada, generously donated 300 lithographs of Marin’s print and all proceeds from this sale will go help the children of Portoviejo. Each 18″ x 24″ lithograph, printed on 130lb Coronado stock, is signed, numbered, and shipped (this May) in reinforced tubes. Two weeks ago, the White House reached out to Kickstarter and asked to help the millions of refugees seeking safety in the Middle East and Europe! 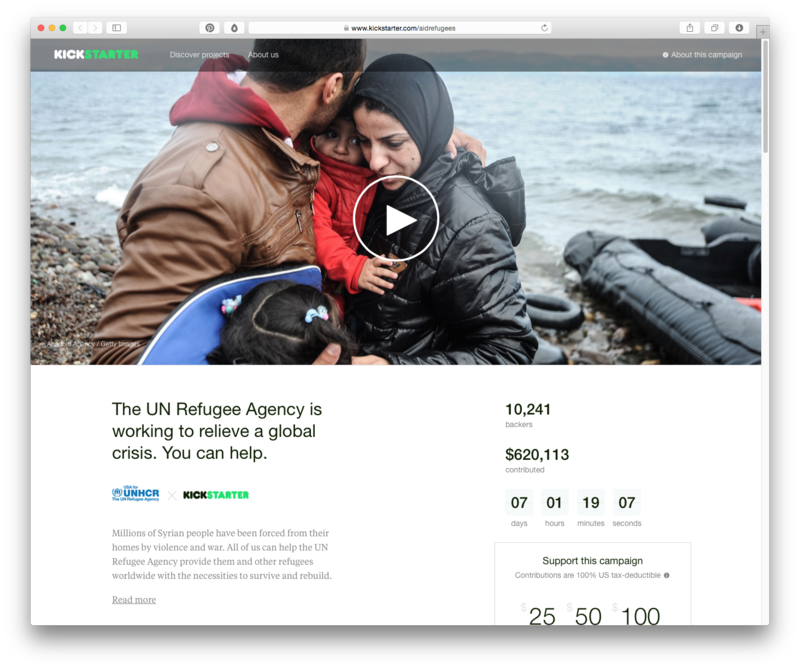 Kickstarter said yes and launched this aid refugees campaign. This isn’t a typical Kickstarter project. The rewards are all about giving, not getting. Kickstarter is donating 100% of their usual fee to support these aid efforts. I applaud this. Go Kickstarter for opening up their platform. And go internet. 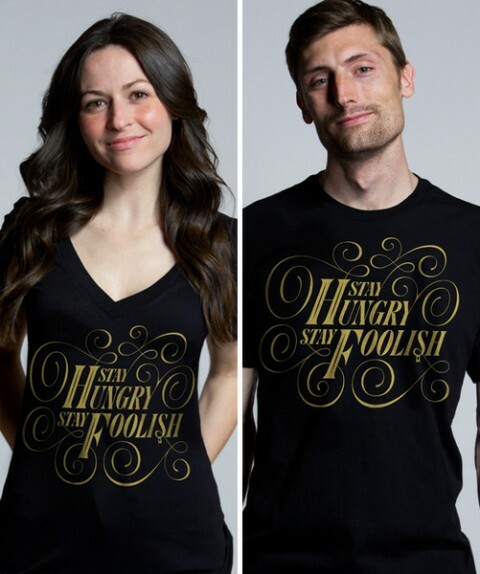 Help ink sells t-shirts, cards and prints that do good. The concept is simple: You spend $5, they give $1. The above t-shirt is by no other than Jessica Hische. 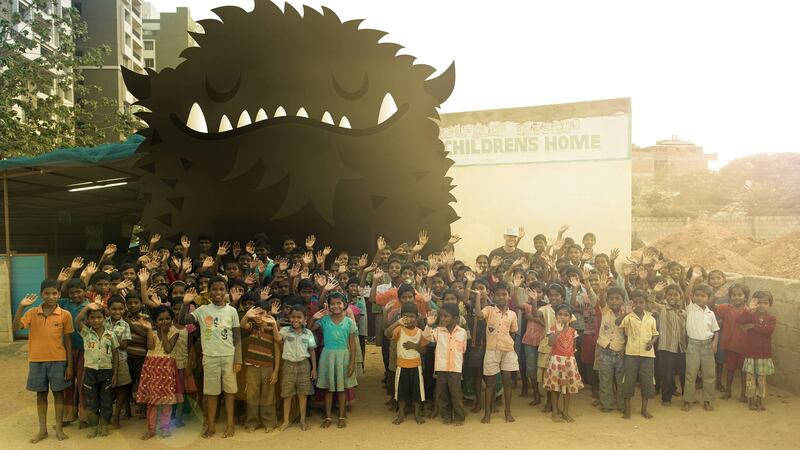 Hunger Crunch is a FREE online game that fights world hunger. All proceeds go to help feed orphaned children around the world. Play the game online or download it from the App Store! 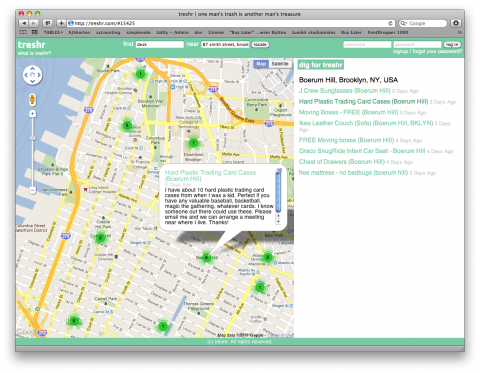 This Good World is a search discovery platform that highlights and supports businesses doing good things. Ethan King is an inspiring 14 year old. At 10 he started Charity Ball to execute his vision of giving away soccer balls to kids in need. He has since given 4,000+ balls away. Humbling. 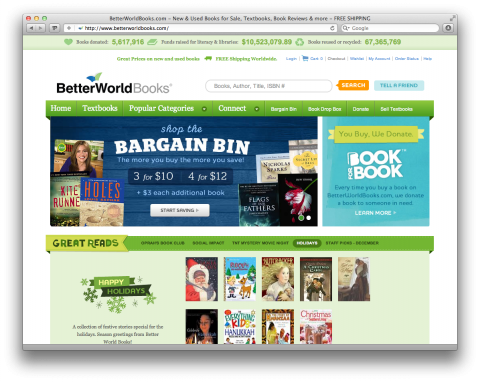 Better World Books collect and sell books online to donate books and fund literacy initiatives worldwide. Every time you buy a book someone else in need gets one. In addition to selling new titles, Better World Books supports book drives and collects used books and textbooks through a network of over 2,300 college campuses and partnerships with over 3,000 libraries nationwide. So far, the company has converted more than 117 million books into over $15 million in funding for literacy and education. In the process, they’ve also diverted more than 73,000 tons of books from landfills. I know where I am donating my books to from now on. They even pay for shipping! Awesome! Last week I met Sal Lahoud, founder of fcancer.org a non-profit that allows anyone to donate a set number of hours of their skills to cancer charities. Their volunteers which span over more than 32 countries have pledged more than 12,000 hours of their unique skills. That’s equivalent of a single person working full-time for approximately 7 years. Check out Fcancer’s 1year anniversary site. Join FCancer and check out the projects currently needing help. Inspiring! YES! So much YES! This kind of use of the internet to connect people makes me so happy. Please consider a donation. (I just made mine.) And then enter to win a trip to NYC and to attend the New York City charity:water ball as Cameron’s guest of honor. Also, don’t miss the beautifully designed t-shirts by Sergey Shapiro. Happy birthday Authentic Jobs. I am proud to be part of such a wonderful job board. BUM is a travel stool with a purpose: All proceeds of the sale go to the Brooklyn Recovery Fund for local Hurricane Sandy relief efforts. 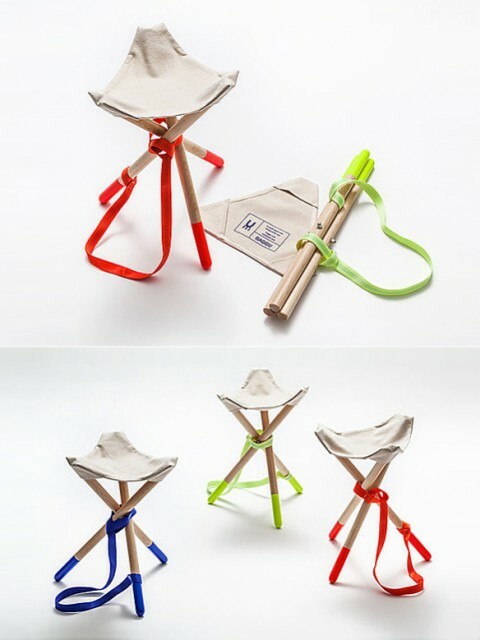 It was designed by UM Project and BAGGU. Last week I launched a SmallKnot Fundraiser to help Robert Elmes, owner of Galapagos Art Space. Hurricane Sandy has devastated his interiors and the damages are over $100K. Galapagos has been our incredibly generous CreativeMornings host for the past few years. Have you attended an event at Galapagos? Then please consider helping them get back on their feet with a small donation. One Girl Cookies across the street was also hit hard and if you’re in the DUMBO area, please consider visiting their pop up store which is hosted by PowerHouse Arena from 9am-3pm. Governor, next to One Girl Cookies has a fundraiser up as well. The DUMBO Business Improvement District is organizing a fundraiser party for the DUMBO businesses. I already got my ticket. See you on wednesday? 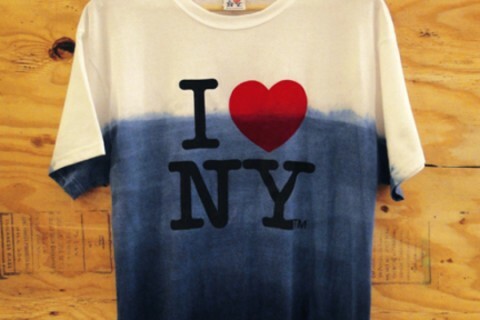 I Still Love NY Hurrican Sandy Relief T-Shirt by Sebastian Erraziuriz. 100% of the profit goes to Hurricane Sandy relief programs. 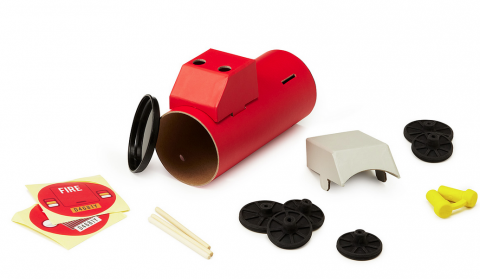 Tube Toy’s convertible packaging transforms into the toy itself, reducing waste to a single piece of recyclable paper. Love this. Every time you buy a book, Better World Books will donate one to someone in need. And, there’s free shipping worldwide. Fantastic. 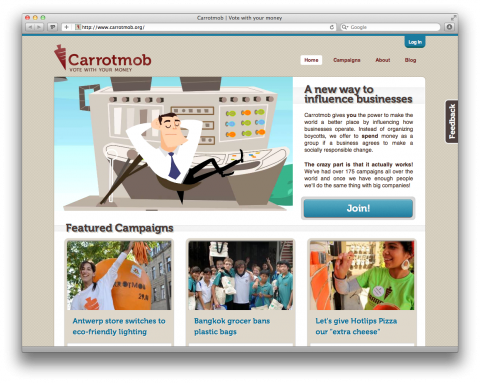 Carrotmob is an organization that aims to give you the power to make the world a better place by influencing how businesses operate. Instead of organizing boycotts, they offer to spend money as a group if a business agrees to make a socially responsible change. In a boycott, everyone loses. In a Carrotmob, everyone wins. Check out their campaigns. Learn more. Treshr is a brand new site project by S7 Labs that makes it easy to give things away, or, the other way around, find free stuff. (It drives me absolutely crazy to see what perfectly fine items people here in NYC are putting the trash!) Everyone has stuff they don’t need anymore. Maybe your child outgrew their old clothes, or you moved to a new place and have old furniture to get rid of. Whatever it is you’re looking for, someone somewhere is trying to throw it away. Treshr, basically a search engine for Freecycle, is here to make sure nothing goes to waste. 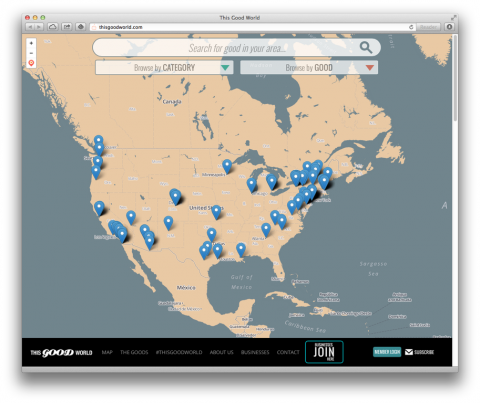 Feel free to explore on the map to see what people near you are giving away. If you have something specific in mind, type it into the search bar, and they’ll only show you what you’re looking for. Make an account with them (it’s quick and simple) and you can post offers, save the things you’re looking for, and even receive email notifications when someone near you posts something you want, and it’s all fully customizable of course.